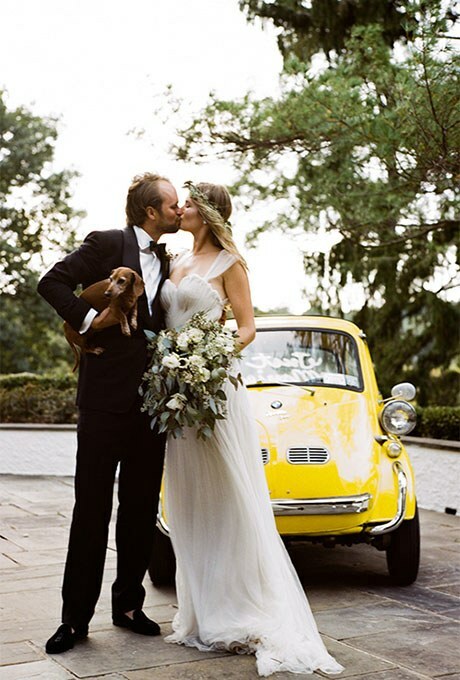 Now that the autumn season is upon us the big question is: what do you wear to a fall wedding? 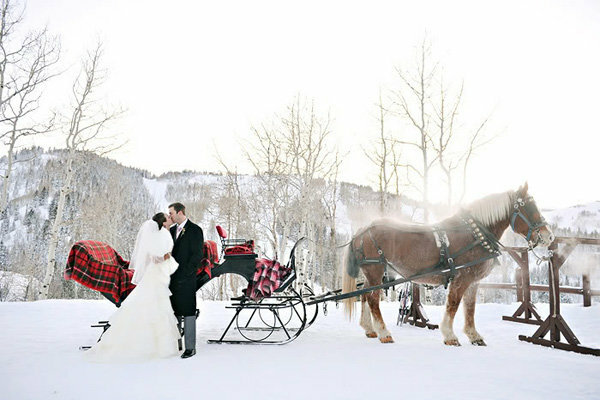 The weather can be very tricky this time of year depending on where you live or where the wedding takes place. One day it could be 80 and sunny and the next stormy and 64. 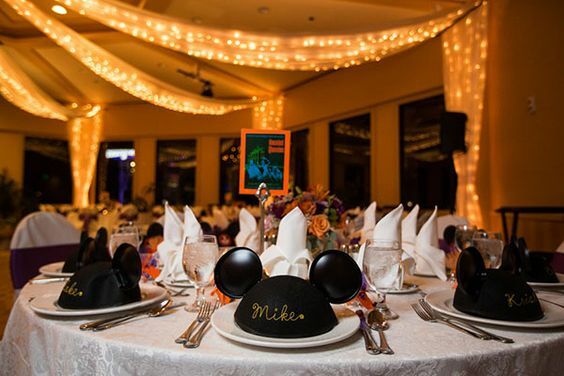 So, we have some great options for you to think about if you’re attending a fall wedding! 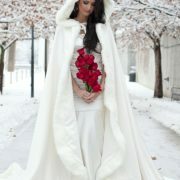 A lot of brides pick this season because it’s beautiful and the cooler temperatures don’t hurt either. For a fall wedding it’s great to wear layers. That way you can be comfortable during all parts of the day. 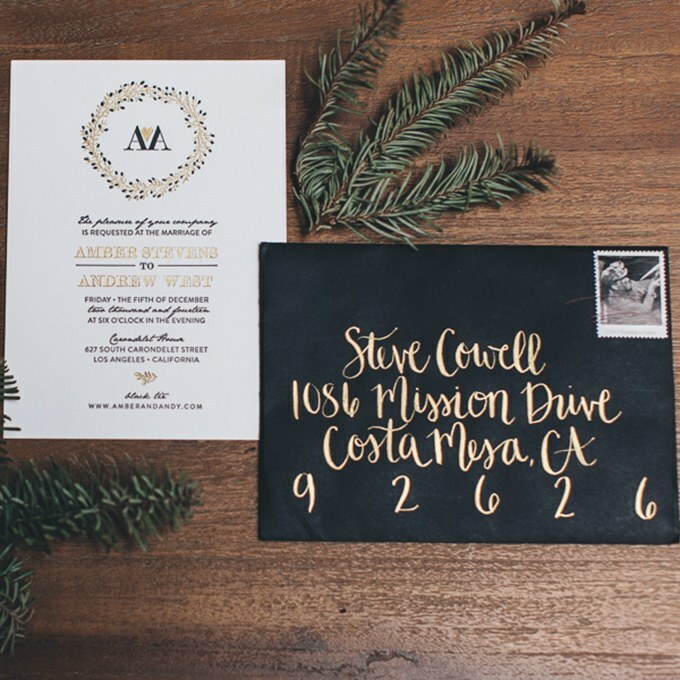 We also recommend looking at the invitation to get an idea of the color scheme of the wedding. 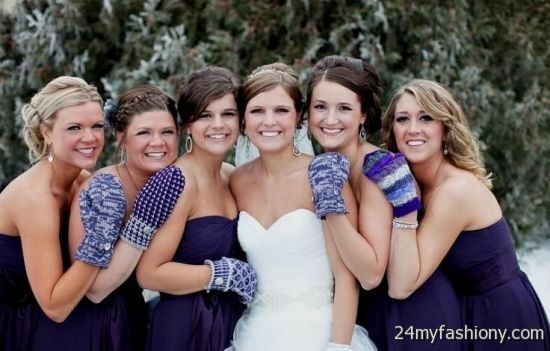 Or, if you know someone in the bridal party just ask what colors the bridesmaids are wearing. You wouldn’t to clash with them either. 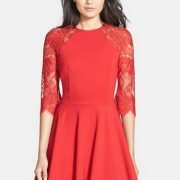 Let’s take a look at some cheaper dress options if you are on a budget. Or, you might have more than one fall wedding to attend and you wouldn’t want to wear the same thing four times, would you? 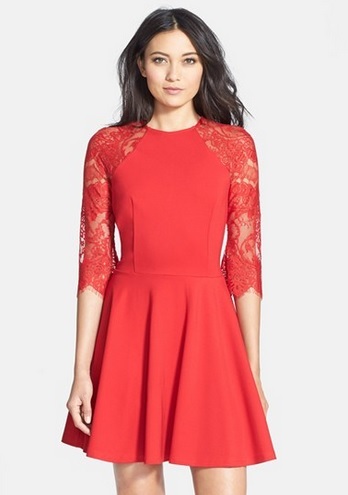 First dress is lovely crimson colored dress with lace sleeves. 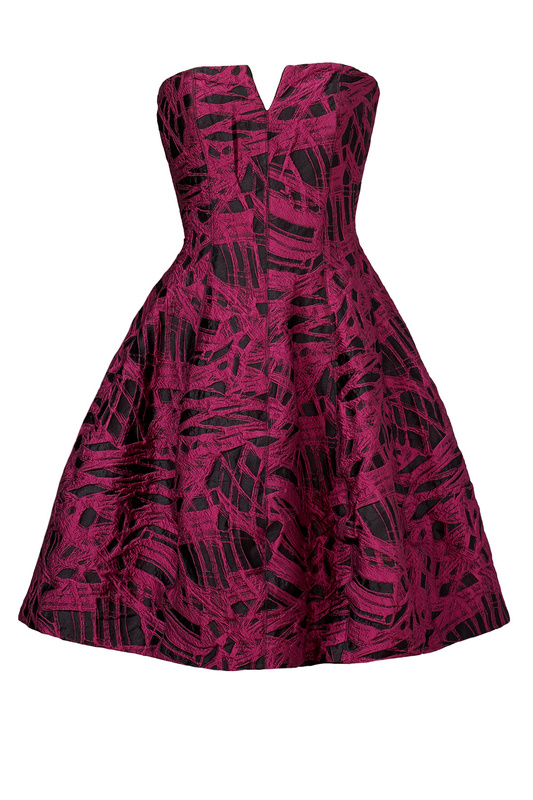 This is a comfortable fit for most body types and it’s a striking color! The lace gives it a nice feminine touch as well. A second option would be to go to the Rent the Runway site. You can rent high quality dresses for as little as $3o. You get the option of a 4 day or 8 day rental. The downside is you don’t get to keep the dress but who needs the maintenance of a high end dress anyway? Just be sure to take lots of pictures! 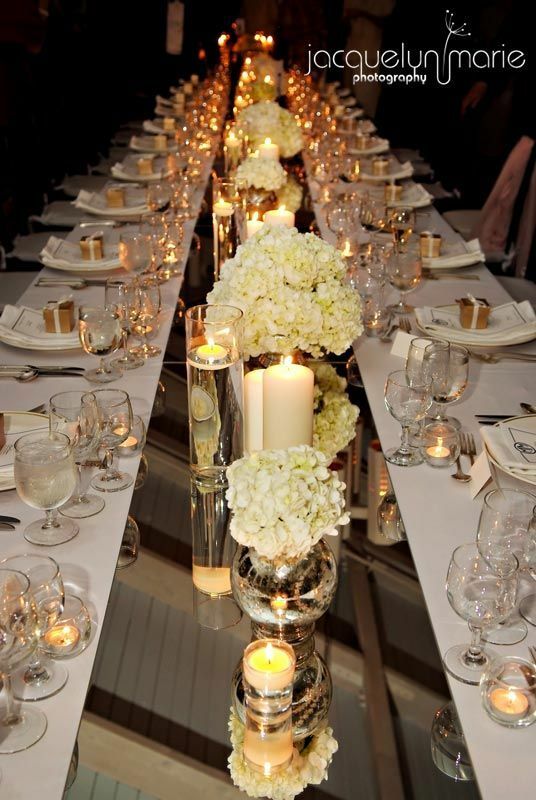 Whatever your taste is for a fall wedding you’ll do it in style! Let’s not forget that old little black dress in your closet either. That is perfectly fine to wear to a fall wedding – just glam it up with accessories and amazing shoes! 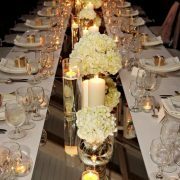 You think you’ve prepared everything – the catering, DJ, guest list, venue, dress, bridal party and even a plan B if the weather is bad. 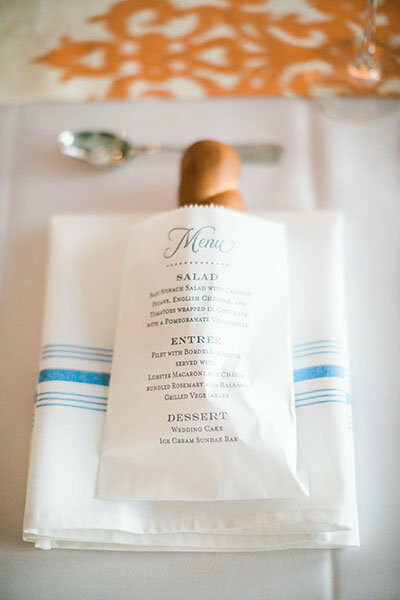 But there are some surprises before the wedding that you may not have thought about. Let’s take a look at a few of them so you can be as prepared as possible! One of the surprises before the wedding is that the ten minutes before the ceremony are the most nerve wracking. 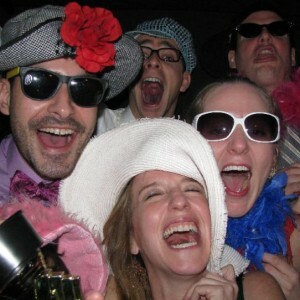 You have spent so much time getting ready, having a few drinks (or not) and having a lot of fun with your bridesmaids. 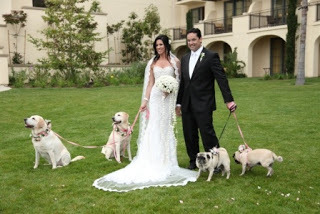 It’s easy to forget sometimes that now you have to walk down the aisle in front of family and friends! 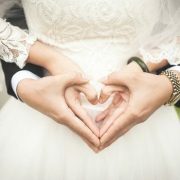 But, not to worry, just remember your better half is waiting for you and this is a day to celebrate. You might be anxious you’ll step on your dress or say the wrong thing but those are what make ceremonies memorable and personal. 2 . 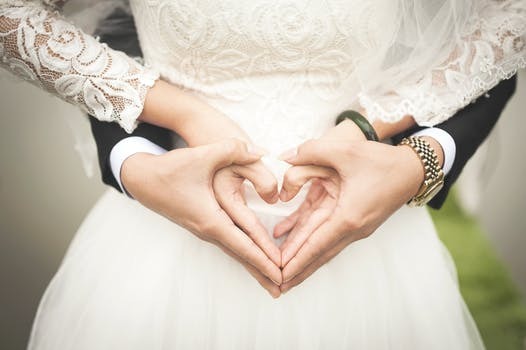 A second thing to consider as surprises before the wedding is that you may want some time alone. You’d think that this day is meant to be shared with everyone and you are obligated to greet and thank all your guests. That’s not wrong but you also might want to carve out just a few minutes for you and your new partner. You both have made a serious, life long commitment and it can be nice to just be alone for a moment. 3. Lastly, something that you already know but we want to mention is that it will never go exactly as planned. You can prepare for all contingencies but life is unexpected and chaotic. That’s what makes it beautiful too! So, if you embrace it and go with the flow we promise you’ll be happier. Ask yourself, is can this be solved easily? Does this affect my guests? Am I still having fun? If the answers are pretty to fix then just go ahead and enjoy your big day! 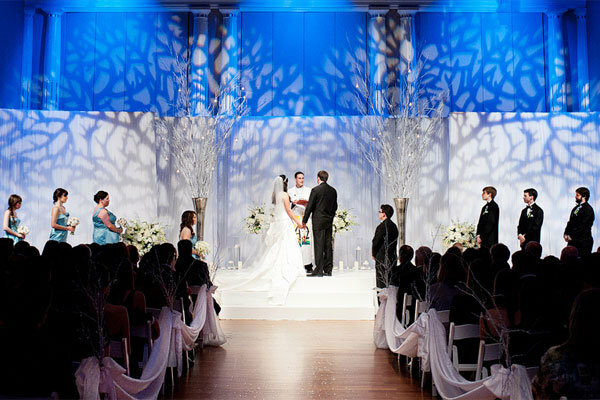 The ceremony backdrop is an often overlooked detail in planning a wedding! How do you envision yourself standing with your significant other? Are there flowers behind you, lights, fish tanks or arbor arches? 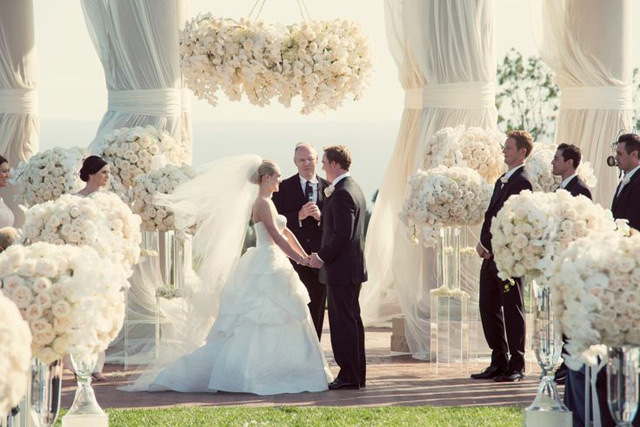 The ceremony backdrop isn’t exactly the main thing brides need to focus on right away. 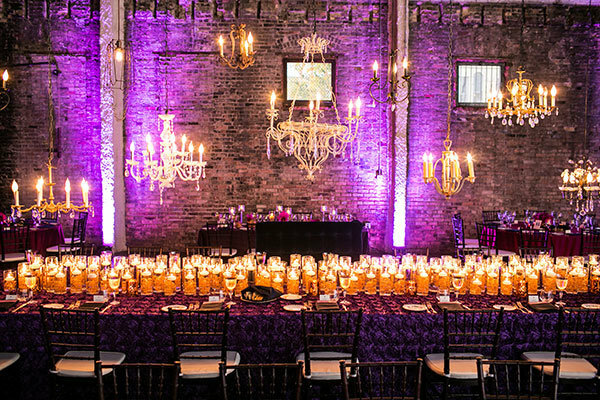 First, you should pick out your venue where you’ll have the ceremony and go from there. If the space you chose allows props to be put up behind you that’s great! We have a few ideas that you might have thought of. 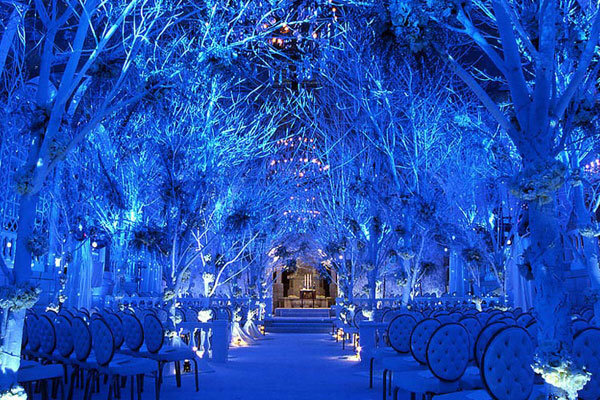 First, if you’re doing a winter wedding but don’t want the hassle of the cold try a projection of a winter wonderland behind you! It’s great for the ambiance of bare trees and snow. 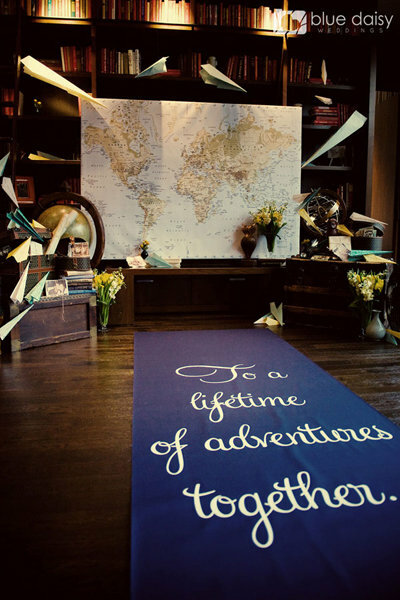 You and your spouse might be travel enthusiasts and what better way to add that flare to your ceremony space with a world map? You can also add paper decorations like planes or cars. We love making a unique space that people haven’t seen before and that says something about you two as a couple. 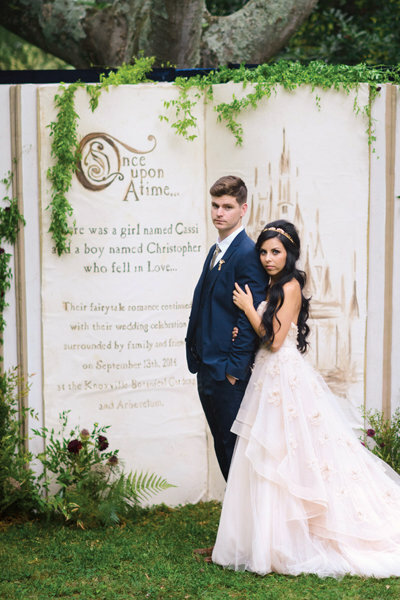 Or, perhaps you are more of a fairy tale bride! 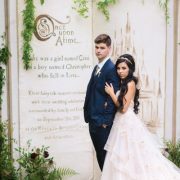 A great ceremony back drop that adds great flare could be an open story book that starts with “once upon a time”. 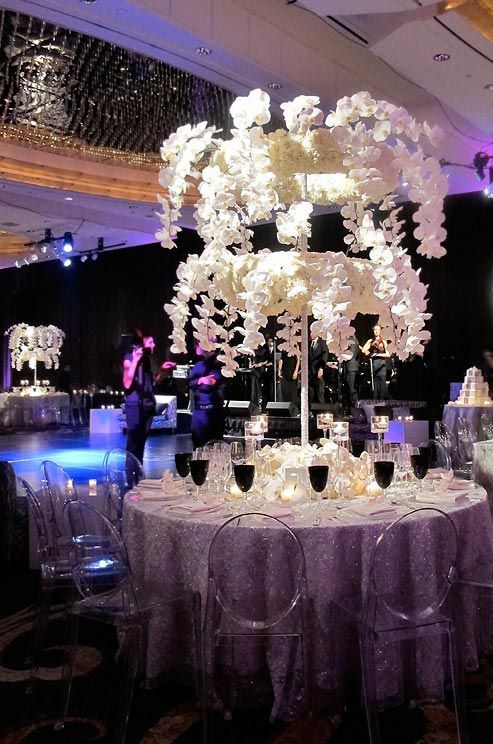 You can add greenery and glitter to make it sparkle. Finally, maybe the ceremony backdrop is already gorgeous. Sometimes picking a venue is as much for space accommodation as it is aesthetics. If the space if gorgeous and already has the style you love then why change it? 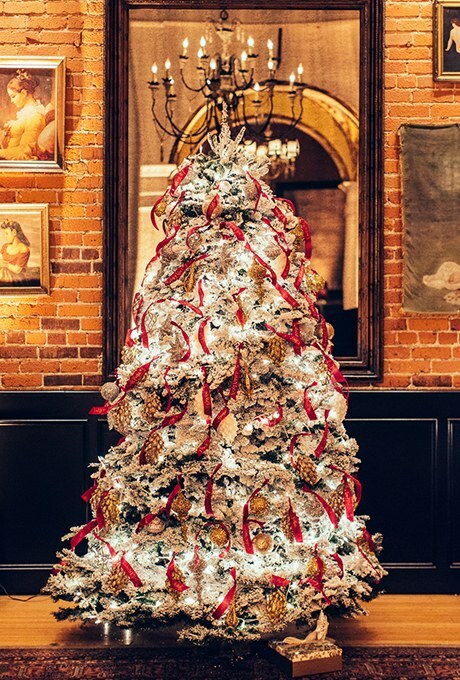 You could spice it up with ribbons and greenery if you want too but remember it’ll save you money if you don’t need to decorate the ceremony space and the reception space! 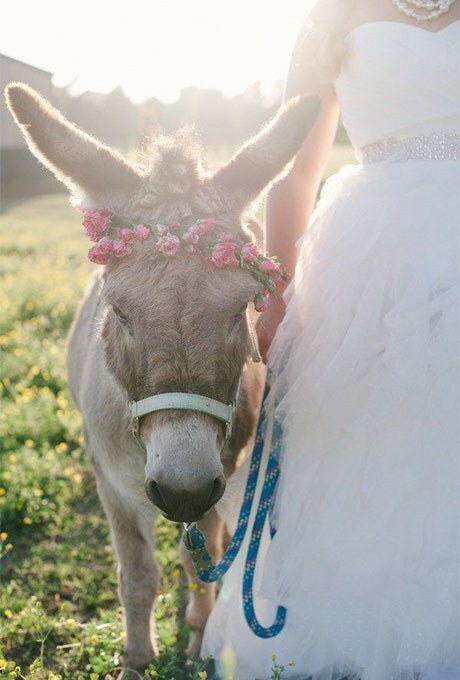 For you unusual, nature loving and perhaps a bit daring brides we love the Alaskan Wedding! The heat is boiling right now so why not think about a cool getaway? If snow and mountains are your thing then consider a destination to Alaska. Alaska has been nicknamed the last frontier and it’s one of the last places you can truly get the rustic/nature experience. 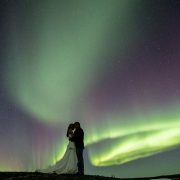 An Alaskan Wedding can be for those native to the area or if you simply have fallen in love with the mountain peaks and lakes. Wedding venues can be elaborate as huge log cabins with giant fireplaces and views of the mountains or a more simple outdoor setting. You can embrace the ancient traditions of the Alaskan people as well which is a fun way to deviate from the normal traditional wedding! A lot of brides like to arrive to the ceremony in a kayak or boat rather than walking down an aisle. 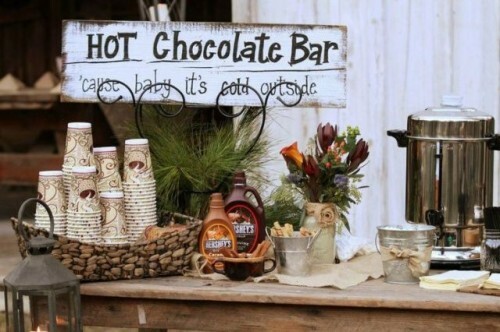 Additionally, you may want to opt for a ceremony in a large hut with a bonfire or outdoor venue. What’s more romantic than a fire and lanterns? An Alaskan wedding wouldn’t be complete without the stunning scenery. We are loving the unusual backdrop that you can find in Alaska. 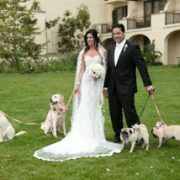 Many retreats or lodges offer great venues for both the ceremony and reception. 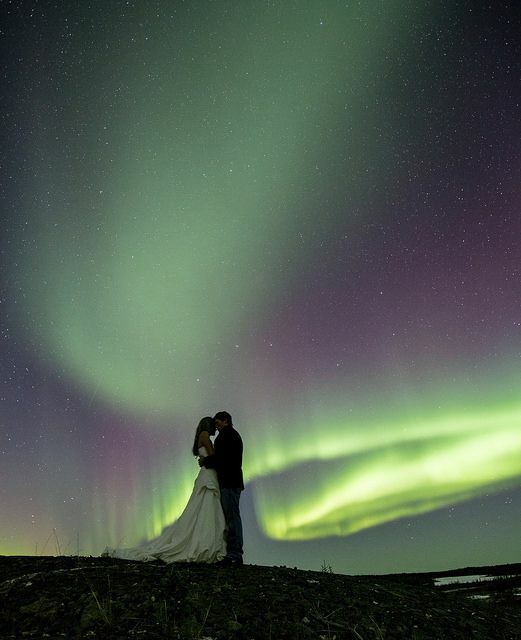 We can’t think of anything more amazing than getting wedding photos under the Aurora Borealis. 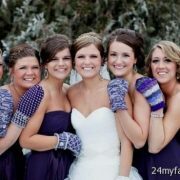 For the fashion conscious bride strapless dresses are probably not a great option in an Alaskan Wedding. But never fear, there are plenty of great warm couture pieces to help with the cold. It will depend on the time of year you go to Alaska but most of the year prepare for colder than average temperatures. If you want a strapless dress then you can pick out a fabulous wrap or faux fur shrug to go over your shoulders. Even ankle boots are perfectly acceptable at an Alaskan wedding! 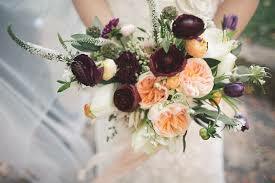 Hello Brides! 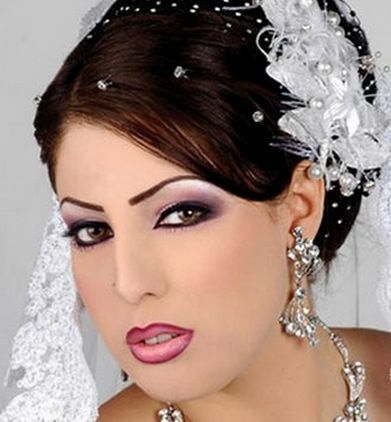 There’s nothing more important than your dress and groom but let’s not forget about your bridal makeup look. Makeup can be a scary world with so many products to choose from. 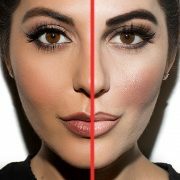 There are thousands of make up artists as well that are out for your business. So how do you choose? 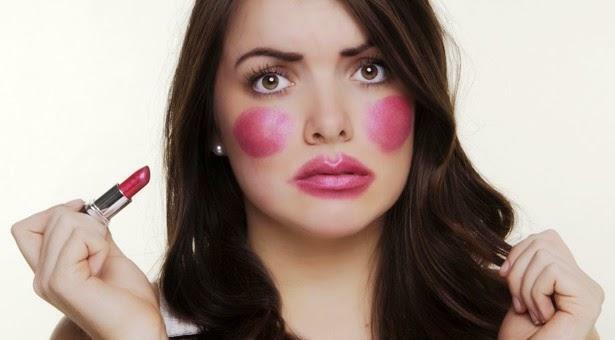 If you’re a low maintenance kind of bride you may want to do your own make up. There are a lot of great products on the market that you can use that are reputable for long lasting. Look for Laura Mercier, MAC or even some drug store brands like Maybelline or Cover Girl. If you’re on a budget the cheaper make up can be made to last long if you use a primer under it and a pore eraser. We love Maybelline’s Baby Skin Pore Eraser. 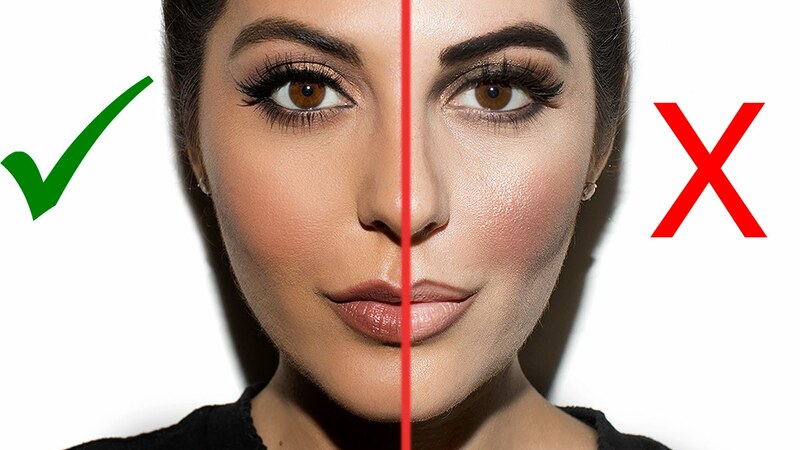 The pore eraser will smooth out your skin so the foundation and powder will give you a flawless, hours of wear look! 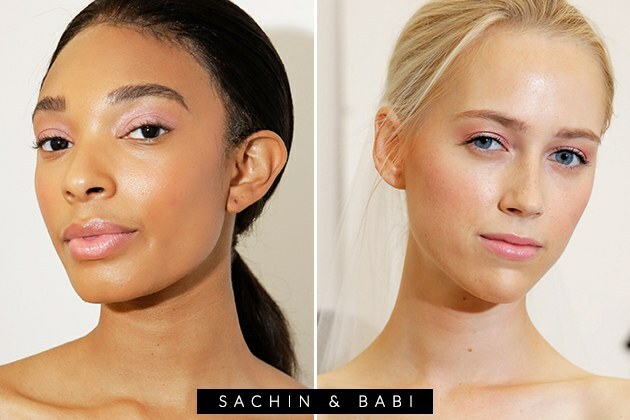 A big make up trend we’re seeing this year is the pink eye shadow and monochromatic bridal makeup. By matching your eye lids and lips color you are creating a soft, romantic look. Try letting your eye brows grow in to complete the look – bold brows and glowing skin are always in! You don’t have to do monochromatic. If you’re a bold statement bride and want your bridal makeup to be colorful then try a red lip! We love orange undertones and a matte lip for this bridal makeup look. It depends on your skin tone but most of the orangey reds are going to compliment you. 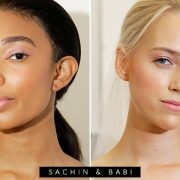 Why not try these bridal makeup trends on your own first? If you decide you’re not up for the task then there are plenty of makeup artists who are! It’s also just a fun way to experiment with your look. Get a few of your bridesmaids for a makeup play day and vote on which palettes you love most.